Hemangiomas can grow within the blood vessel layer beneath the retina called the choroid. If they are located in the macula (center of vision) or they leak fluid (which causes a retinal detachment or cystic changes in the retina), they can affect visual acuity. However, many choroidal hemangiomas never grow or leak fluid and can be observed without treatment. Choroidal hemangiomas are not cancers and never metastasize. <justify?This choroidal hemangioma lies above the optic nerve, but extends into the fovea. Though there was no serous detachment, cystoid retinal degeneration of the fovea caused decreased visual acuity to 20/200. On your left, there is a red colored choroidal hemangioma just above the round optic nerve. Typically, choroidal hemangioma are reddish to orange colored. 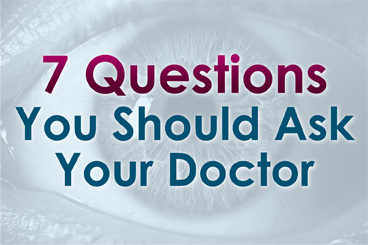 They can have areas of increased pigmentation which can make them difficult to differentiate from choroidal melanomas. By lifting the overlying retina, choroidal hemangiomas can cause far-sightedness (hyperopia), distorted vision (metamorphopsia), flashing lights, or blurred vision. Choroidal hemangioma that cause no symptoms at all, are usually found on routine dilated eye examinations (ophthalmoscopy). Ultrasound Imaging: Sound waves can also be used to examine the inside of the eye. Ultrasound images of a choroidal hemangioma reveals that they are “bright.”This is because they are a mass of relatively large and well-formed blood vessels. Each blood vessel reflects sound waves producing characteristically intense reflections or moderately “MODERATELY HIGH INTERNAL REFLECTIVITY” from within the hemangioma tumor. Moderately high internal reflectivity is an important diagnostic characteristic. When a choroidal hemangioma is not causing symptoms, leaking or damaging the eye; it can be photographed and followed for evidence of change prior to treatment. However, if the choroidal hemangioma is documented to grow into the center of vision or is causing a retinal detachment or angle-closure glaucoma it is treated to save vision. Hot Laser: Laser photocoagulation had been used to decrease the amount of fluid leaking out of choroidal hemangioma. Unfortunately, laser results are usually temporary and recurrence of retinal detachment or cystoid retinal degeneration usually results vision loss. Photodynamic Therapy (PDT) is a cold or non-thermal laser treatment that involves injecting a light-sensitive dye into the patient and then shining a dye-activating PDT laser light on the choroidal hemangioma. The light-activated dye causes the abnormal blood vessels to close, shrink, and stop leaking. However, PDT requires that the tumor can be visualized during treatment. So, PDT will not work if there is a large retinal detachment covering the tumor or if the tumor is located too far anterior inside the eye. When it works, PDT offers a more long-term method to treat leaking posterior choroidal hemangiomas. The dye is expensive and multiple treatments are usually required. Lastly, due to changes in treatment patterns for AMD, fewer and fewer PDT laser machines and experienced PDT-laser surgeons exist. Radiation Therapy: At The New York Eye Cancer Center most patients are treated with low-dose external beam or implant radiation therapy. Radiation has been used used to treat leaking choroidal hemangiomas for decades. The differences are, that in the past relatively large doses of radiation were used and some collateral radiation damage occurred. However, modern radiation techniques involve much lower doses of radiation as well as implant techniques that better focus the treatment area. Low dose radiation typically requires a total of less than two weeks of daily treatments. In Dr. Fingers’ experience, almost all choroidal hemangiomas and their associated retinal detachments can be cured with low dose radiation therapy. Choroidal Hemangioma are benign tumors made up of blood vessels. Since choroidal hemangioma do not metastasize (spread to other parts of the body), we are more concerned with damage they can cause within the eye. Choroidal hemangioma can be stable and not require treatment. Others can change a patient’s vision by displacing the retina causing hyperopia (far-sightedness), causing degeneration of the overlying retina (cystoid degeneration), or by leaking fluid under and detaching the retina (serous retinal detachment). Most choroidal hemangioma are treated if they induce a retinal detachment. Also in rare cases, choroidal hemangioma can fill most of the eye, affect the iris or be associated with the Sturge-Weber Syndrome. In these cases, the choroidal hemangioma (due to its increasing thickness) can cause angle closure glaucoma. In these cases, radiation can be used to cause regression and thinning of the hemangioma in the iris and prevent vision loss.